Debris which appears to be part of a plane’s wing has been found off an island in the Indian Ocean and is being examined to see whether it is from the Malaysia Airlines plane that disappeared more than a year ago. CNN is reporting that what seems to be a wing flap has been discovered off the coast of Reunion Island, a French department in the Indian Ocean. 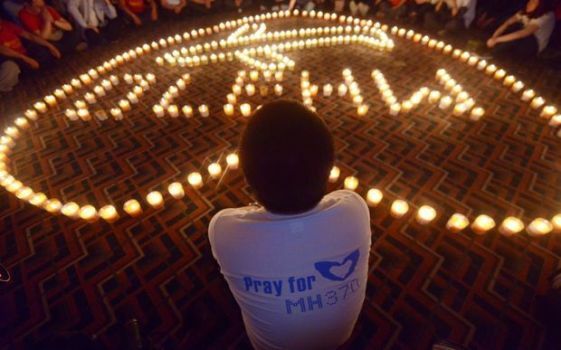 The plane with 239 passengers and crew on board went missing shortly after take off from the Malaysian capital Kuala Lumpur en route to China on 8 March 2014. An extensive international search of an area of the southern Indian Ocean approximately 1600 kilometres off the coast of western Australia failed to find any trace of the plane. French officials on Reunion, located in the Indian Ocean east of Madagascar, are inspecting the wreckage. “It is way too soon to say whether or not it is MH370,” Adjutant Christian Retournat, a member of the French Air Force, told CNN. The barnacle-covered debris appears to be part of the trailing edge of a plane wing, but there have been other plane crashes in the area in recent years.